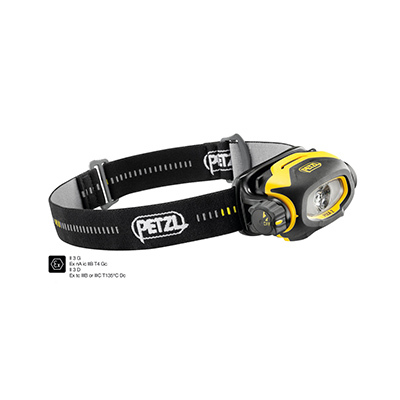 The PIXA 2 is a rugged headlamp offering lighting that allows the user to work comfortably on tasks close at hand or to move around safely. CONSTANT LIGHTING technology: brightness does not decrease gradually as the batteries are drained. It meets ATEX zone 2/22 (II 3 GD Ex nA ic IIB T4 Gc tc IIIC T135°C Dc) certification requirements for work in explosive environments. In 1970, the first “Fernand Petzl” brand products were produced in a workshop in Saint-Nazaire-Les-Eymes, Isère, France. Since then, the Petzl company, established in 1975, has grown into an international enterprise, all the while preserving its personal feel and the passion that drove Fernand Petzl.